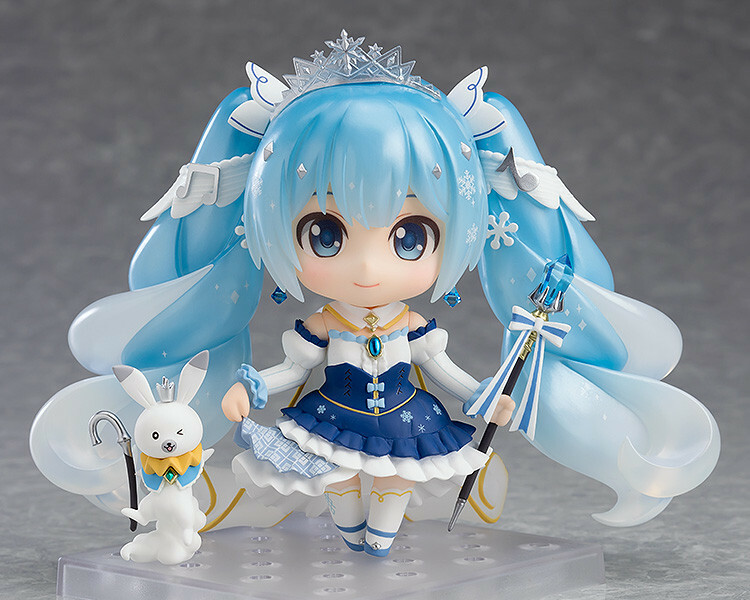 The 10th anniversary of Snow Miku! 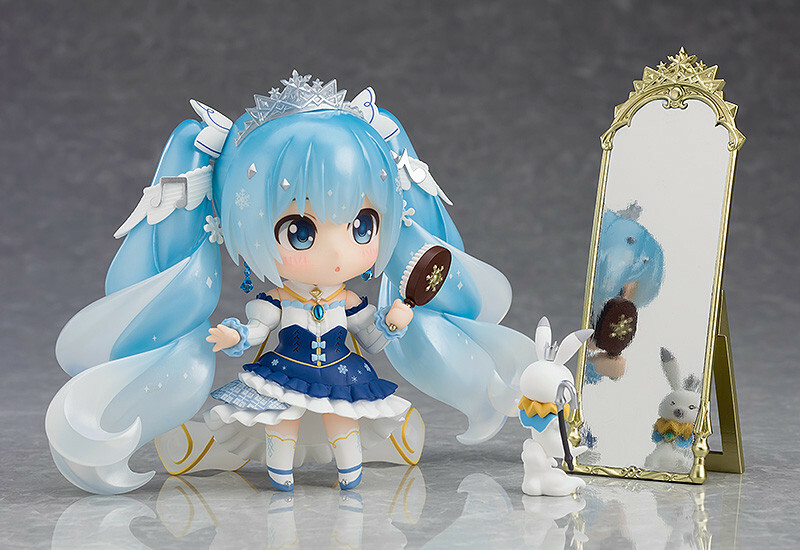 We present this special memorial version of Snow Miku to you. 2019 marks the 10th anniversary of Snow Miku, and the 2019 design was once again selected by fans through online votes between a selection of outfits all submitted to piapro by fans! This year the theme was "Princess of the Hokkaido Winter", and the winning Snow Miku design was this version based on illustrations by -L F-! The design has now been converted into this beautiful Nendoroid! 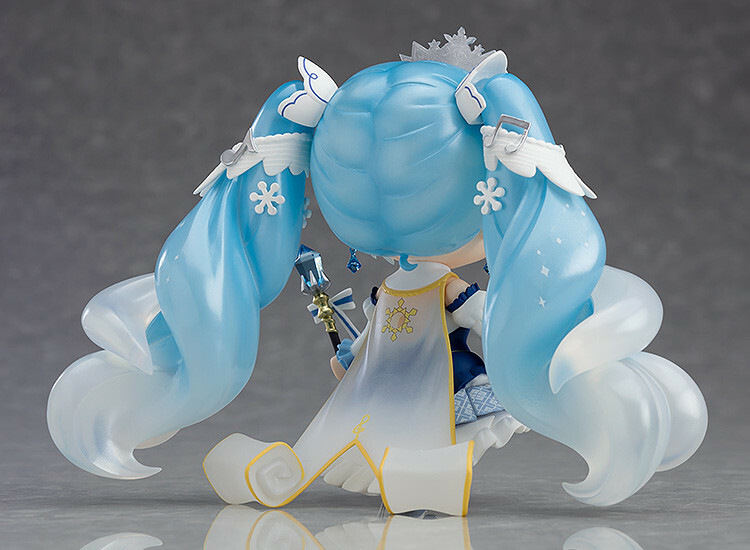 Her unique twintails have been carefully sculpted to give them a whimsical appearance. She comes with three face plates including her gentle standard expression, a curious blank expression and a lovable smiling expression. A freestanding figure of Rabbit Yukine is included as well. She comes with her staff, a blue rose bouquet, special skirt parts to display her hold her skirt hem, a hair brush and a mirror are included as optional parts! Her curled mantle can be removed for more display options! 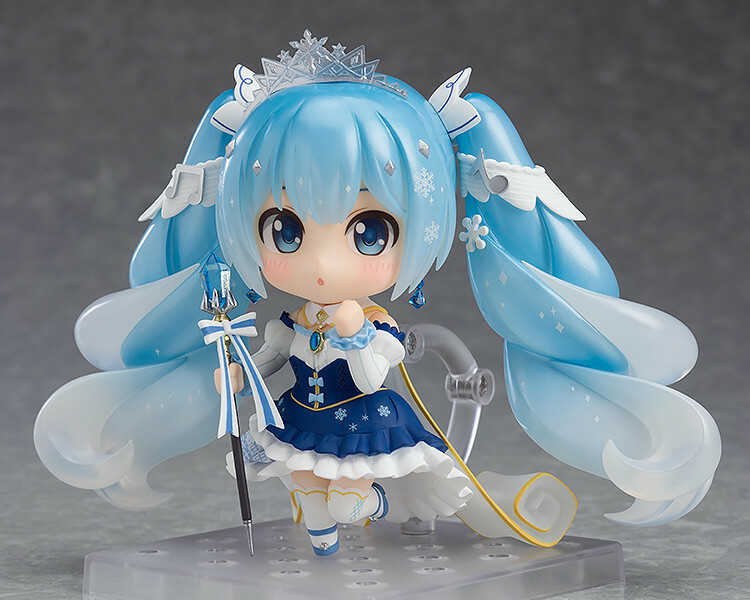 Be sure to add this 10th anniversary edition of Snow Miku to your collection! Snow Miku is a character designed to enliven the Winter of Hokkaido. She was originally created due to a snow sculpture of Hatsune Miku made at the 2010 Sapporo Snow Festival, and has been a part of the 'SNOW MIKU' festival in Hokkaido every year since. 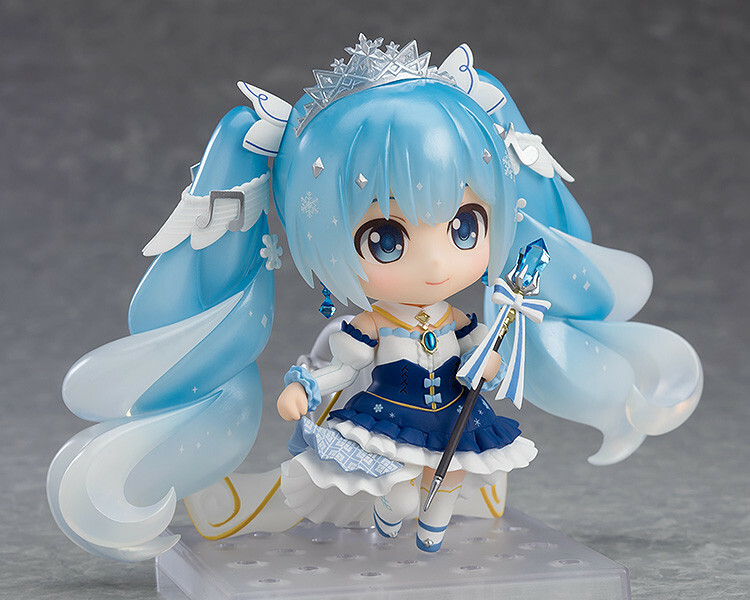 The 2019 theme for Snow Miku is "Princess of the Hokkaido Winter". 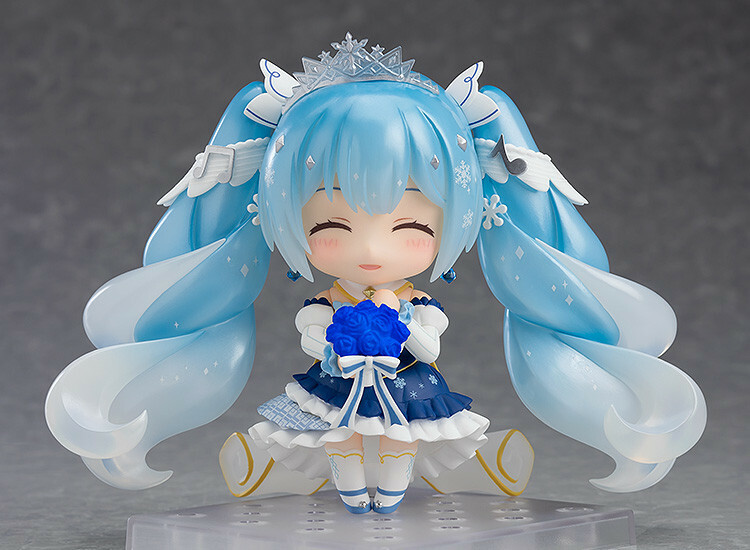 Nendoroid Snow Miku: Snow Princess Ver. will be available for collection to those who were selected in the purchase lottery. If you were selected to purchase the item, please take your collection ticket to the Sapporo Cultural Arts Community Center SCARTS Special Exchange Area and collect your product. For more information please confirm details on the eplus website below. 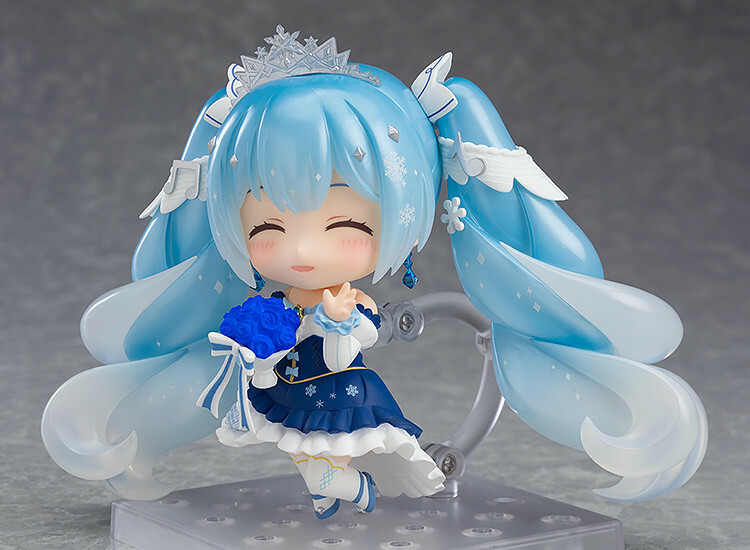 Please see the SNOW MIKU 2019 page for more details.